Complete diagnostic hearing evaluations are necessary to determine the type and degree of hearing loss. All testing is conducted in a sound treated booth using calibrated equipment. Pure tone testing and speech testing are included in a full diagnostic test. 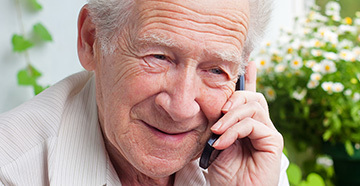 You will be counseled on the test results and recommendations will be made specific to your individual hearing needs. Hearing can be evaluated at any age, including newborn infants! The test procedures used vary, depending on the age and developmental level of the infant, toddler or child being evaluated. Most toddlers and children feel they are "playing a game" while being tested. Keeping them interested and moving quickly is very important to getting accurate results! Hearing is very important to the development of speech and language! Delays in speech and language development can affect your child's performance in school and social interactions. If you have any concerns about your child's hearing call us to schedule an appointment for an evaluation. All sizes of hearing aid batteries, sizes 10, 312, 13 and 675 are available daily during regular business hours. We also mail batteries upon request. Call 393-2051 or toll-free at 888-303-2051 to order your batteries and have them mailed to your home! Be sure to tell us your battery size! Comprehensive testing to determine candidacy for cochlear implantation and information on physicians and hospitals that provide this service. Custom swim molds are important for persons who have a history of ear infections or swimmers ear to keep the ears dry and healthy. They can be ordered in a variety of colors or even several colors swirled together. Swim molds are important for both children and adults! Call today for an appointment to order yours! Debbie Gamache's Hearing Center provides comprehensive cleaning and checking of all brands and models of hearing aids. We have a CLEAN and CHECK CLINIC every Tuesday morning from 8 a.m. to 10:30 a.m. where you can bring your hearing aid to be cleaned and checked. Or if you prefer, you can make an appointment to have your hearing aids checked. Choices about digital technologies will also be given. Debbie Gamache's Hearing Center provides all levels of digital technology, from the entry level to premier level instruments. 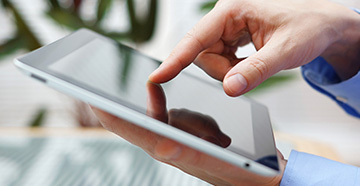 We will help you choose the technology most appropriate to your hearing needs. Once a decision has been made about the style and type of technology, earmold impressions will be made so the hearing aids will be custom fit to your ears. An appointment for the hearing aid fitting will also be scheduled. Most manufacturers and ESCO offer additional warranty on hearing aids for repair, loss and damage. Cost depends on the style of hearing aid and type of technology. Call us to find out more about warranty protection for your hearing aids at 393-2051 or toll-free at 888-303-2051. We order from a variety of hearing aid manufacturers including Widex and Phonak among others. 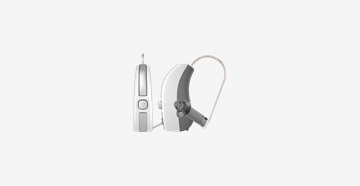 We also provide service, repairs and cleaning to all makes and models of hearing aids. We have a walk-in CLEAN AND CHECK CLINIC every Tuesday morning from 8 a.m. to 10:30a.m. or you can call for an appointment to have your current aid checked, repaired, cleaned and/or programmed. We also sell Dry Aid kits and the Dry and Store appliances to help you keep your hearing aids working well and lasting longer! OtoAcoustic Emissions (OAE) testing is conducted to determine the presence or absence of damage to the outer hair cells in the inner ear (cochlea). This test is an objective measure that will help determine the type of hearing loss. In children and infants OAE testing is an objective measure to help in the determination of the presence or absence of hearing loss. It is also helpful in verifying hearing sensitivity after tubal surgery. Tympanometry is an important part of the complete diagnostic evaluation. This is an objective measurement of the functioning of the outer and middle ear. Test results show the presence or absence of middle ear problems.